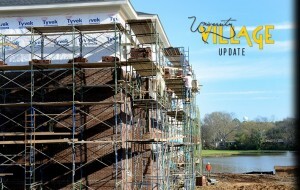 Work on the $9 million University Village project continues at Belhaven University. 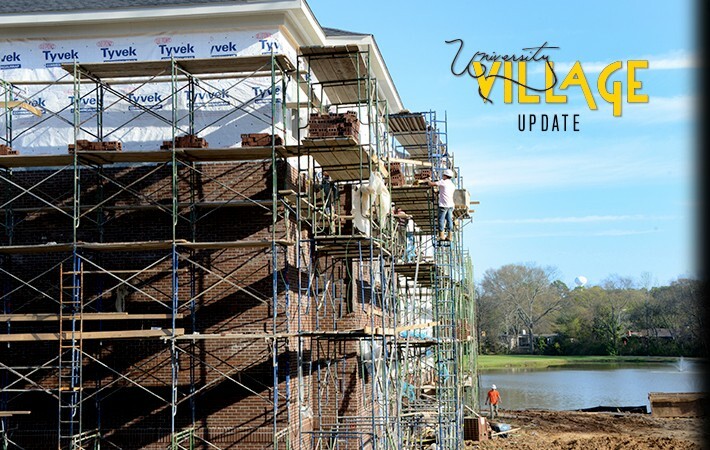 The new apartment style residence community is set to open for students this fall. Our University Relations team recently captured this aerial footage of the construction site. As you can tell, the project is transforming the center of our campus. Interior walls are starting to go up and windows have been installed. Installation of the facia, soffit, brick freeze and soffit vents has started and roofing has been completed. In the next six weeks, the building will be insulated, ceilings and flooring will begin to take place, and millwork will be installed. Progress is moving smoothly and we should be ready to welcome students to this amazing new facility in August.